This is a fantastic location & Villa featuring 2 bedrooms, 2 bathrooms, Florida Room, 1 car garage, all appliances & covered lanai with pretty nature views of the park area. 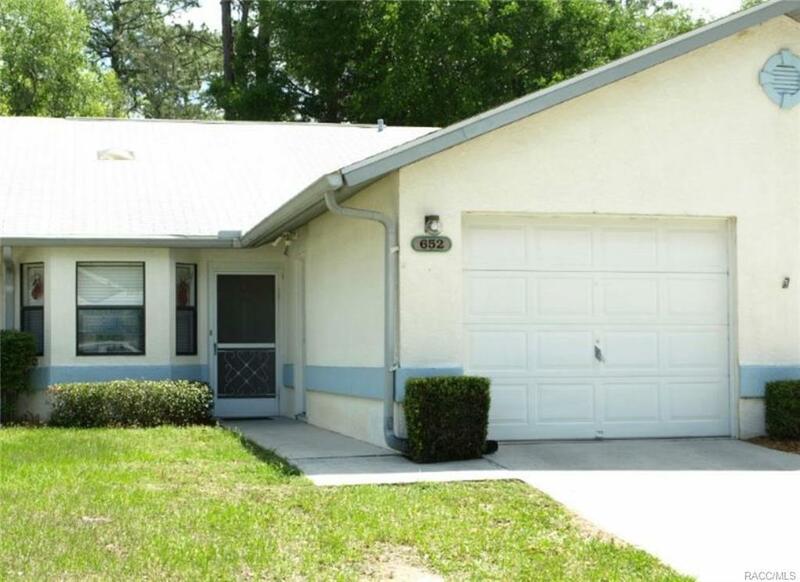 Kitchen has updated stainless steel appliances, high ceiling in living area, tile flooring in Florida room. Public water & sewer. You'll enjoy the community pool & clubhouse facility. Maintenace Free Living - HOA maintains lawn, termite control, community pool maintenance, painting & villa exterior maintenance including roofs, trees and roads. All exterior is maintained for $100 per month. This is NOT a 55+ community! Located near Whispering Pines Park & close to shopping. Directions: From Downtown Inverness, Take 44w To R On Forest, R On Whispering Pines Blvd, To Home On Left.